Join us for the largest installation of the reimagining yet! We are inviting you to come see the largest installation of the reImagining yet! Join us for a night of amazing art and the full scope of the reImagining project. Come out opening night Wednesday the 27th at 5:30pm at the Longwood Arts Gallery. See below for the full calendar of events celebrating this amazing exhibition! 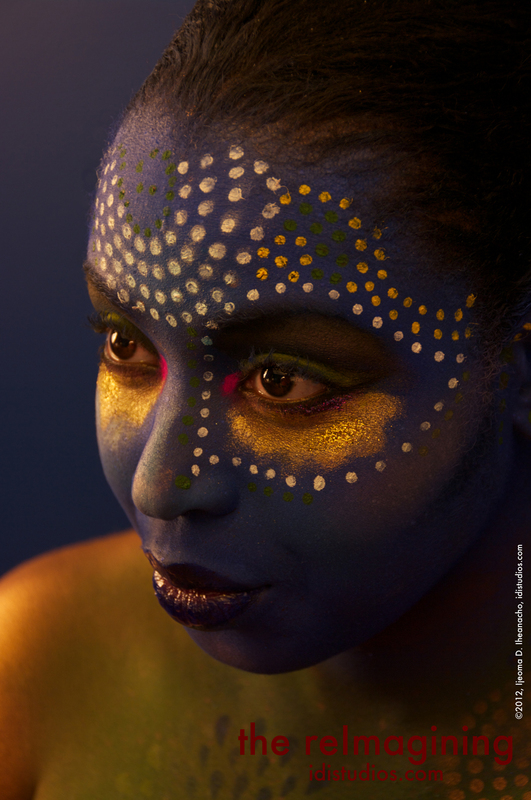 BxArts Factory/Montefiore West Indian Day Parade Exhibition Opens!!! Sorry for the slow post - so much going on, but I wanted to celebrate the amazing opening of the Reflections Exhibition at Montefiore Medical Center. Thanks so much to all who came out to be apart of the night and all those that send their well wishes! A huge thanks to BxArts Factory for giving me the opportunity to be apart of this ground breaking show! A hugs to the awesome Real for giving me a chance to capture her amazing spirit on film! the reImagining is on BronxNet! I apologize to my poor neglected blog! It's been way too long since I touched base! But good news, I just did my first television spot in support of the reImagining! It was nerve wracking, but very fun! We had such a blast, and the host Rhina was so cool! Fun on the set of Open! The past six weeks have been like a dream! It has taken me five years to get nine photographs on a wall, but every single moment of those five years was worth it! Being able to finally debut the first stories from the reImagining - on both the east and west coasts - has only made me more determined to make sure all 100 stories are told! 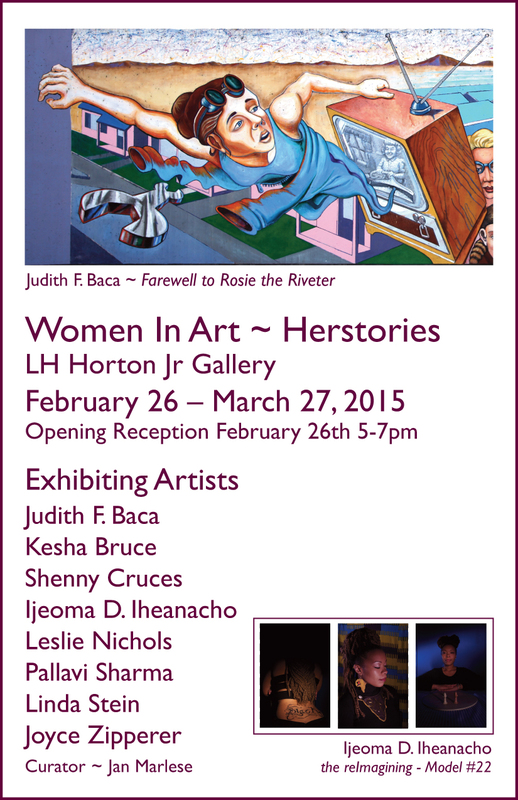 Although I could not physically be there for the Women in Art - HerStories exhibit, the exhibition pictures tell a story of an amazing exhibition at the LH Horton Jr. Art Gallery at San Joaquin Delta College in Stockton, CA. 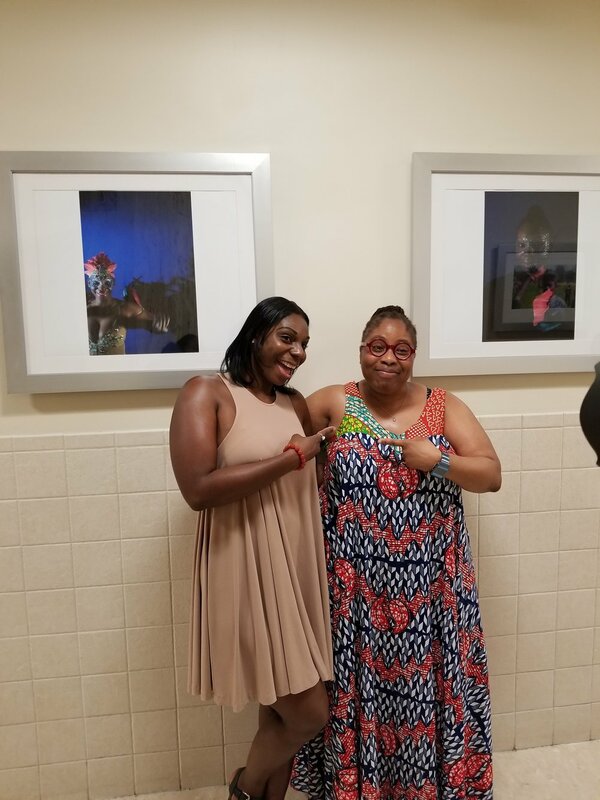 I have to give a special thanks to Yolanda Rodriguez of the BxArts Factory for her inclusion of the reImagining in the amazing Innuendos exhibition held at the Andrew Freedman Home in the Bronx. It was so amazing to have my work shown with so many inspiring female artists from the Bronx. The artist panel discussion for the reImagining at Innuendos definitely got heated - but in a good way! A special thanks to the models that sat on the panel with me to tell their stories! Finally, the closing reception for Innuendos allowed us to hear from the all of the artist that participated in the exhibition with art performances that blew my mind! The reImagining is just getting started! I was so fortunate to be able to participate in these two exhibitions and so happy to have the narratives of the models brought forth for discussion. We are just getting started, so please continue to support the effort and continue to keep an out for more exhibitions! Thanks for the flowers Brian and Andy! Thanks for the flowers Elizabeth! Thanks for the flowers Elvira! The Promo Video is Here! 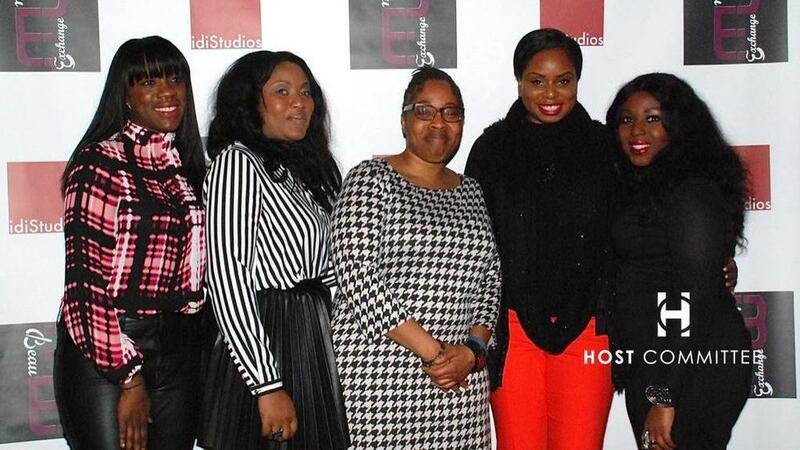 - Meet the 10 Bronxite Women in Innuendos! It's here! Check out the amazing promo video for the Innuendos show opening March 6th! Come out and meet the amazing artists and see their extraordinary work! I had such a great time at the BeauExchange Launch party last week. Make sure to keep an eye on what these ladies are doing! Sign up for their newsletter and grow black female entrepreneurship! The reImaginging Speaks is now on TWIB! It is my distinct pleasure to announce the reImagining Speaks is getting a louder voice! Starting today I will be penning a new blog series highlighting the videos and the themes of the reImagining! Please check out the first installment and make sure to leave a comment and spread the word on your social networks! Stay tuned in ladies as we get the word out about this amazing project! Tags: the reImagining, the reImagining Speaks, twib! the April reImagining Salon is on! Make sure to RSVP today and join us for the next amazing Salon April 14th from 2-5pm at 53 East 11th Street (Baha'i Center 2nd floor Sitting room). Can't wait to see you there! I have had the ultimate collaboration! Imagine being able to translate into images the text of an amazing Black female playwright for the production of one of her most amazing plays dealing with the topics of the misrepresentation of the Black female image for a Black female producer and director! I know it's a run on sentence, but run with me on this one guys! I was more than thrilled to lend my camera skills to Courtney Harge of Colloquy Collective for their new production of Wine in the Wilderness. Harge created the collective because " We at Colloquy Collective feel it is important to mine existing work for jewels that create new contexts for our present conditions." The play, which runs from March 7th through March 17th at JACK, is the company’s inaugural production. Directed by Harge, Wine in the Wilderness examines the issues of racial identity, class striation, art’s purpose, and male/female power dynamics. Originally presented in 1969, it tells the story of a Black male artist as he paints a triptych on Black womanhood, and the Black woman who causes him to reexamine his approach. This play remains poignant and relevant over four decades after its first production. Above is one of the two images I produced for the play - you have to come out and see the play to see the second image! The play opens Thursday March 7th with a great reception afterwards! If you can't make one of the shows - then support the project's funding campaign and support the major tenant of the reImagining - creating new paths for the real voices of Black women! the reImagining is in the loop! Well that's Loop21.com! We got a fantastic write up by Chloe A. Hilliard at Loop21! Take a moment to read it and make sure to pass it on. Encourage your friends and family to donate to the project and continue to spread the word! 30 more days to make this happen! We can do it! the reImagining is covered by News12! The reImagining was covered by News12 the Bronx! Read the quick write up and make sure to play the video (click play on the picture)! Continue spreading the word and getting out message about the kickstarter campaign! ...and the word has reached all the way across the world! I have to say, I am so happy to have my work recognized on the mother land! The project was just featured today on the amazing Nigerian fashion/photography blog NONNY'S LIST. Thanks so much for the recognition, it means everything to me! Please keep spreading the word guys! We will make the reImagining kickstarter campaign a success! We are spreading the word! We are getting the word out there! A huge thanks to forcoloredgurls.com for an amazing feature on the blog! Jamie Fleming-Dixon is an inspiring voice in the community and her support for this project is whole heartedly appreciated. Make sure to bookmark the blog! Please continue to support the reImagining kickstarter campaign and help us spread the word! Support Two Great Projects With One Fun Filled Night! Support two great causes at the same fun filled event! 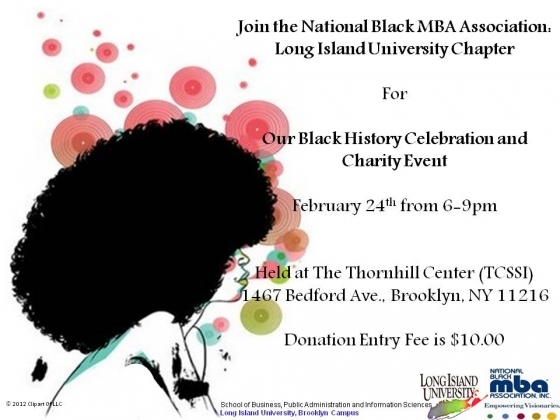 My work will be featured along with the work of a great set of artists at the National Black MBA Association Black History fundraiser. Come show your support for the reImagining (clapping really loudly during my presentation) and support an organization that is shaping the future business leaders of our community. And the cherry on top - the event is being run by one of the reImagining 100 - Majella Mark! Come out and show your support! See you there! A fine art photographer focuses her lens on an overlooked minority with the help of crowd sourcing. New York, NY Feb. 1, 2012- Ijeoma D. Iheanacho is a fine art photographer focused on telling the stories that are constantly overlooked, the stories that are brushed under the rug or politely stepped over. 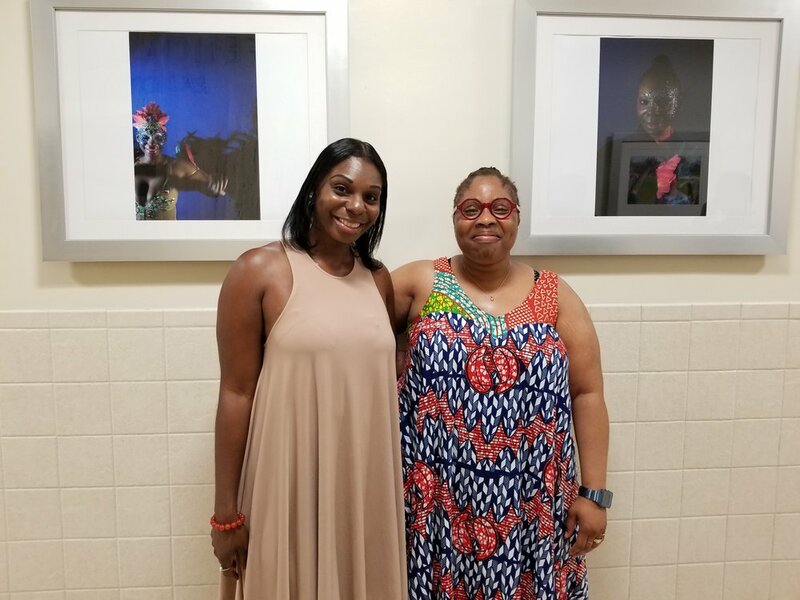 Her latest project, the reImagining, is a large scale photography installation focused on allowing 100 “ordinary” women of African descent to express the identities they choose to present to the world. She is reaching out to that world to help her fund the project. With the current economic conditions making securing fine art funding nearly impossible for the unconnected, she is turning to kickstarter.com to ask all the “ordinary” people of the world to help her realize the project. She is trying to raise the funds to allow her to create the 300 gallery quality portraits of the women, and she is giving her potential kickstarter backers only 60 days to make it happen. The campaign launched February 1st and will run until March 31st. If the funding goal is not reached by then, all pledges are returned and the project goes unfunded. The reImagining is a project focused on community building. Creating a gallery exhibition is just the first step in Iheanacho’s plans for the project. 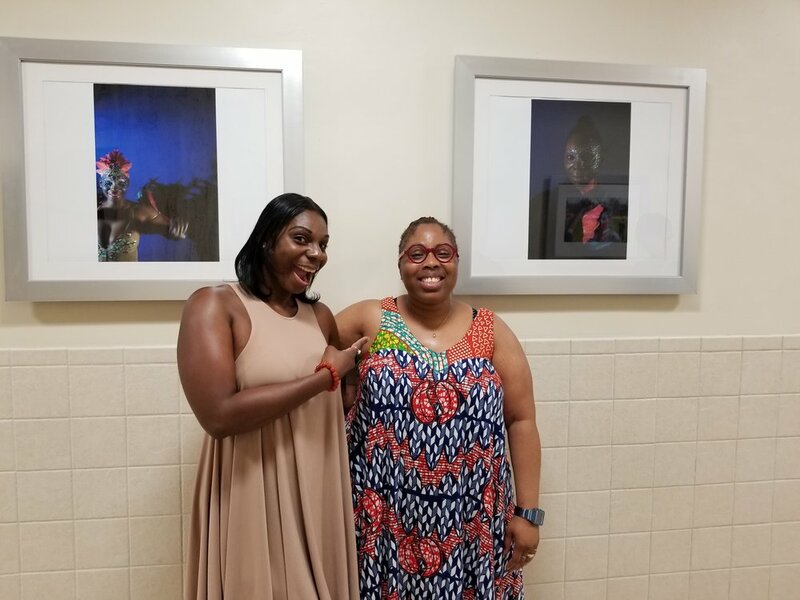 After debuting the project in New York City, she plans to create a traveling exhibition that will allow her to partner with non-profit organizations to bring the arts to underrepresented communities. Upon completion of the tour, an exhibition catalogue will be created to allow a wider array of people to experience the work as well as be used in a wide variety of educational settings. Finally, she will launch a dedicated website that creates a forum to allow a wider array of people to interact with the project and build communities that bring real solutions to the issues raised in the project. Iheanacho plans to even use the production of this project as a teaching moment. During the photography sessions she will arrange studio visits with organizations that work with young at risk girls to begin teaching them the important lessons of self-esteem and self-determination. But to create the project she still needs the help crowd funding can provide. “I am raising funds to cover the costs of studio rental, preproduction, lighting, hair and make up, props and wardrobe, and postproduction. All on a very large scale. Each woman will be have portraits made of the progression of her reclamation of her personal identity. The first portrait will represent the stereotype she feels is placed on her, the next will show the person she feels she really is, and the final will show the person she wishes to present to the world. So doing that math - that is 100 women, photographed three times, for a total of 300 gallery quality portraits. 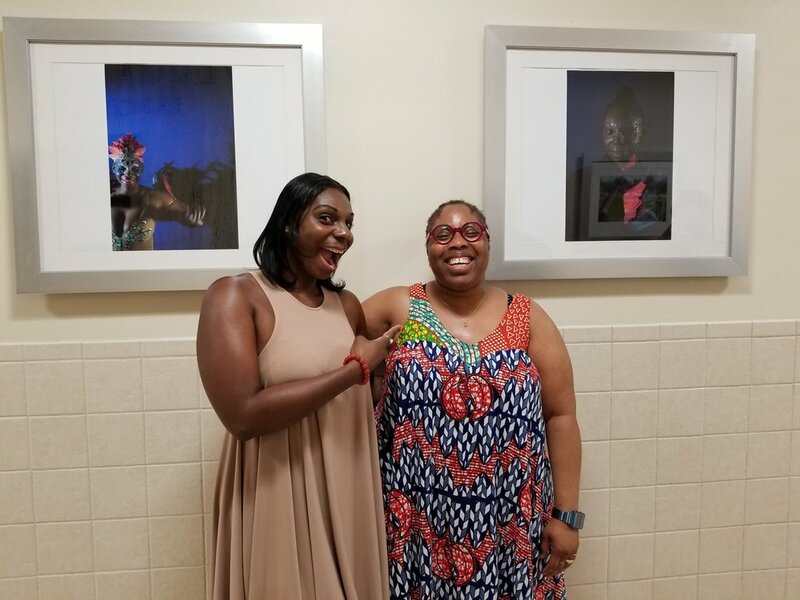 That is where I need the help of the kickstarter backers.” Iheanacho has decided to thank her kickstarter backers with rewards including producing a limited edition set of prints that will never be reproduced again. To learn more and to donate to the project, readers can visit the official kickstarter campaign at: http://www.kickstarter.com/projects/2065012881/the-reimagining-photographing-the-unheard. Ijeoma D. Iheanacho is a fine art photographer that uses her training as an architect to create photographic installations that are designed to arrest the body while the eye is focused on the photography, thus intensifying the viewing experience. She has been exhibited nationally and throughout New York City. Her images have been used in the independent film Afropunk, as well as in a four part photo series for the Afropunk.com website. Her early series, Cloth, has been collected by the Photographs and Prints Collection of the Schomburg Center for Research in Black Culture and selected for exhibition as a finalist for the CurateNYC 2011 exhibition at Rush Art Gallery. idiStudios is a Finalist for CurateNYC 2011! I had the pleasure of attending the opening for the finalist for CurateNYC 2011 last week! I am so honored to have been chosen! It's a great way to end the year! For more information on the exhibition: click here! For my winning entry: click here! It's a great and diverse exhibition - make the time to go see it! Brown in the City Blog gets coverage on Citizen Radio! The Brown in the City Blog entry - Women of Color at Occupy Wall Street - has been featured on the award winning podcast Citizen Radio! Always a home for those unheard, Citizen Radio played the audio interviews of Women of Color at Occupy Wall Street during the November 3rd, 2011 podcast. To hear the audio click here! The coverage begins at 23:47 and ends at 40:23. Thanks so much to Citizen Radio for giving these interviews exposure. They are member supported, so if you like what you here, don't be shy - donate! Look Ma, I'm in the Schomburg Collection! This past Friday the 15th, I had the honor of turning in the Cloth Series to the Photographs and Prints Collection of the Schomburg Center for Research in Black Culture. I am so honored to have my work included in such a prestigious collection of works. Since its founding the Schomburg has been one of the premier collections of art representing and celebrating the Black condition nationally and internationally. 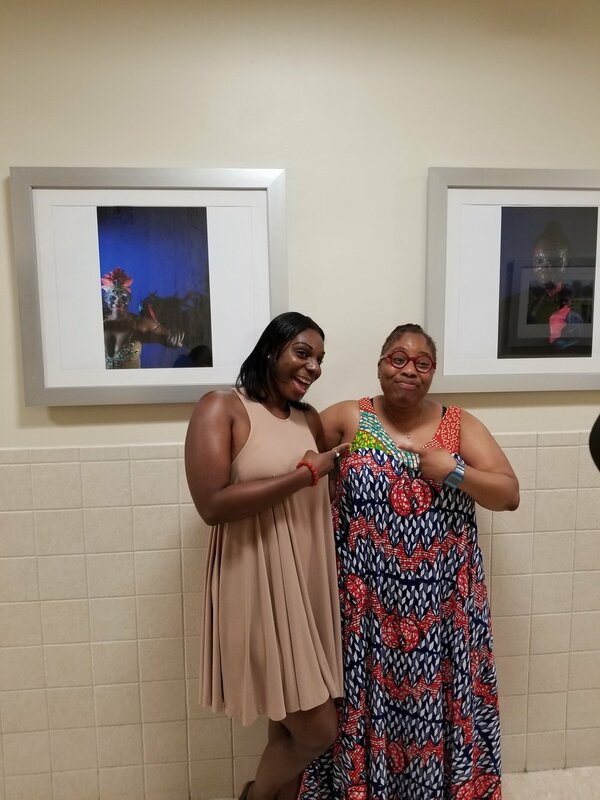 A special thanks to the curator of the collection, Mary Yearwood, for being such a great resource and hand holder as I went through this process. As budget cuts threaten our great institutions, let's remember and support the institutions that remember and support us. For more information on the Schomburg click here!